I read both books in the Muriel Mabley series by Carrie H. Johnson last year and really enjoyed them. I'm hoping that a third book in this easy to enjoy series is in the works. 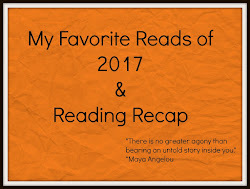 What I love about this series is that it is not only well written, but features a professional middle aged African American woman facing transitions in every part of her life. It's wonderful to read a story that portrays a realistic view of the challenges many women face at one of the most stressful points in their lives. Physical changes, the relationship adjustments with a son that is now a young man, a romantic relationship that is sometimes interrupted by work and other family commitments, and of course challenges at work. Throw in the mix a double murder that hits close to home and you have a mystery that I needed to read! 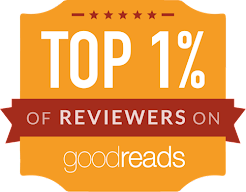 I'm adding my original reviews and links to the books below. There is also a short interview with Johnson on the Kensington website that you can read here. 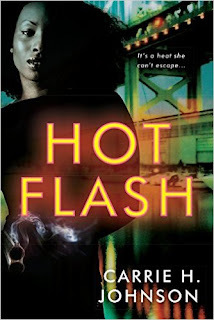 Hot Flash is an enjoyable first book in Johnson's debut series Muriel Mabley. 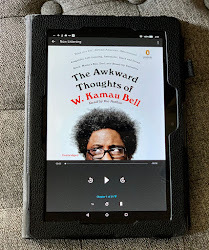 The story features Muriel Mabley, a strong middle aged African American woman dealing with her changing body due to the onset of menopause, thus the literal hot flashes that often happen at the most inconvenient time. 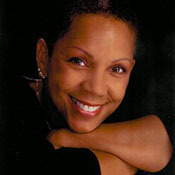 Muriel is facing many changes in both her personal and professional life. She is faced with her changing role with her son as he becomes a young man and tackles college. There is also a secret eating away at Muriel that she has been keeping from her son and a reckoning is quickly approaching. Muriel is dealing with helping her younger sister who is quickly falling apart and on the verge of losing her family. If those large personal upheavals aren't enough, Muriel's work life is being turned upside down because of a murder that is hitting very close to home. Muriel is a forensic firearms specialist which I found a great way to offer a glimpse of an African American woman doing a job predominantly held by men. 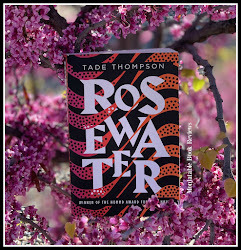 Johnson does a very good job portraying relatable characters, a murder mystery that throws a monkey wrench in an already tumultuous time in Muriel's life that made for a quick page turning read. I love that the protagonist is a woman who knows who she is, but is looking to redefine herself as she moves into a new phase in life. Muriel is a strong character who faces situations head on and I loved her! Hot Flashes would make a fun and engaging book club read. I'm looking forward to reading the second book in the series, Cold Flash, when it is released in May. 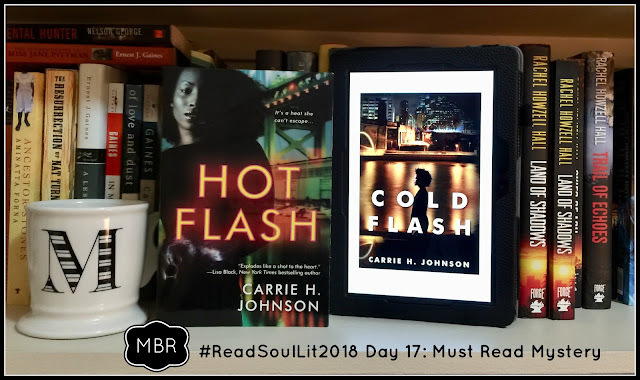 Cold Flash is very much a sequel and you need to read Hot Flash first before diving into to this one. 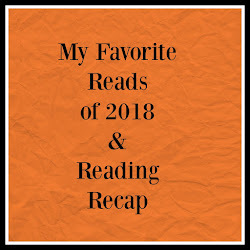 If you enjoy smart female leads who are mature and dealing with real life issues as part of your thrillers, I would recommend treating yourself and picking up these fast paced reads. I'm adding Cold Flash on my favorite reads list right along with Hot Flash. I never knew what I wanted to be when I grew up until now. I am giddy with being able to add to my list of life experiences and careers the descriptor of author. A highlight of my life was when I received that call from Kensington Publishing offering me a book contract. And here I am. My debut novel, HOT FLASH, , was released in June 2016, as the first installment in a series featuring Philadelphia firearms examiner, Officer Muriel Mabley. 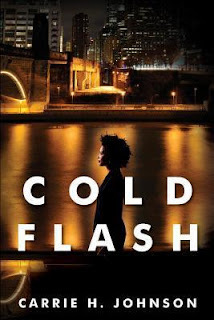 The second installment, COLD FLASH, is scheduled for release June 2017. I started out as a journalist and have been published in the Los Angeles Times, Worcester Telegram and Gazette and the Metrowest Daily News. Life’s journey took me through years of drug and alcohol abuse and, as a single parent, cornered me at the door of government assistance to support my three sons. But always the voice of my mother in my head – “Where there’s a will there’s a way.” I had will, but lost my way…for a minute anyway. I wrote and self-published my first book, FROM THE PITS TO THE PALACE: ONE WOMAN’S JOURNEY TO SELF-REALIZATION THROUGH ENTREPRENEURSHIP that depicts my entrepreneurial journey from welfare to successful business owner. In 2002, I sold my company. I also found my second love next to writing – teaching. I teach business and communication courses at Worcester State University and Quinsigamond Community College in Worcester, MA; Framingham State University in Famingham, MA; and the Center for Women and Enterprise in Boston, MA. Writing and teaching, a life I love.